Implemented via a Google Play Services update, this app for Android phones running Froyo 2.2 or higher is the official release from Google. It can make your lost phone ring at maximum volume to help you locate it in a crowded space. It can also track your phone in real-time on a map or wipe all of its data. There’s no cost for this service, but you may not receive notice of installation; check your Device Administrator options to set up permissions as needed. This is the father of all similar iPhone apps, created by Apple specifically for Apple devices. It’s free to download this app from iTunes, which weighs in at only 17 megabytes and lets you find, track, and lock your iPhone. If you’re using an earlier version of the operating system than iOS6, you need to download the app to another device, then sign in with your Apple ID. If you’re running iOS6 or better you can use Apple’s iCloud to put your phone in “lost mode” which lets you lock your phone with a four-digit passcode and display a contact number on the lock screen for Good Samaritans to call. One caveat: To use iCloud tracking, you need to enable “Find My iPhone” in your iCloud settings before your device goes missing our you’re out of luck. Wiping a phone is also possible with Find My iPhone. Android Lost is also free and available from the Google Play store. If your Android goes missing, you can “push” this app to it remotely from another Android device. Once installed, send yourself a text message which says “androidlost register” and you’ll be ready to go, providing your phone is still turned on and has a connection. Android Lost lets you track and control your phone remotely or activate an alarm that also makes the phone’s screen flash, which is handy if you think you know where you lost it but aren’t entirely sure. 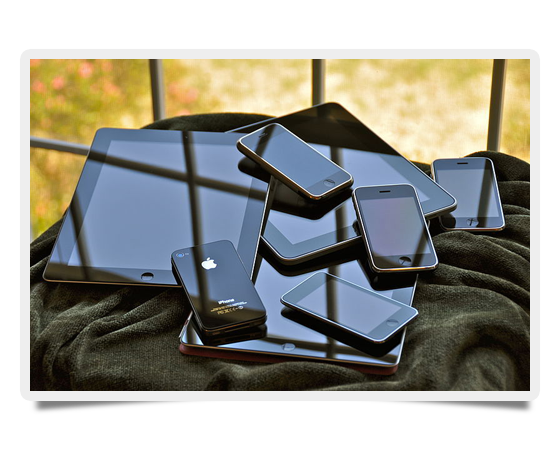 This is a subscription-based software service ($100/year) which lets you track a host of different device types, including iPhones, BlackBerries, Androids, and Windows Mobile phones. The service lets you log incoming text messages and calls, track emails, and find your phone using GPS. It’s also possible to block apps from running on your phone or take a photo of the phone’s surroundings, helping to identify a possible thief or the phone’s exact location. Losing your phone is a drag. Do yourself a favor: Get an app that lets you track or wipe your phone as needed.